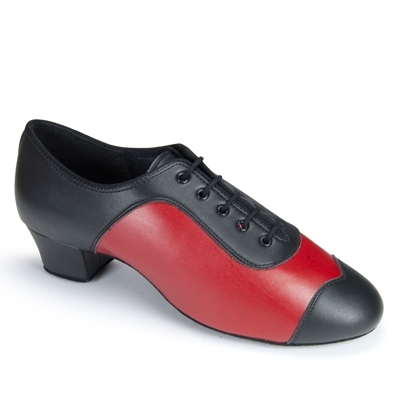 The &apos;Spanish Tango Duo&apos; is a more unique style that is for all those dancers looking for something a little bit different. 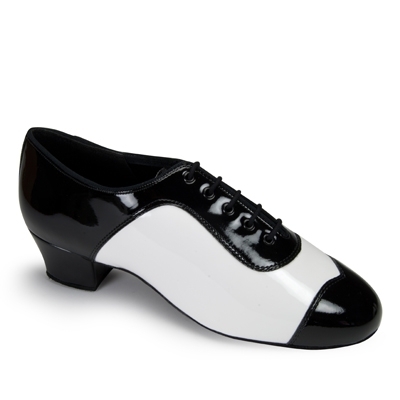 The amount of variations you can get in this style is incredible, and online we have this Black Patent/White Patent combination as well as the Black Calf/Red Calf combination. If you would like this style in another material, heel or width, then please scroll to the description below to find out how we can make bespoke styles just for you. The heel pictured is the 1½" Men&apos;s Latin heel.